Get Clean. Stay Clean. : Thoughts? I had a rather desperate call from a patient who had recently completed an Accelerated Opiate Detox with us at The Coleman Institute. Jean* works in the dental field. She is the mother of three young children. Prior to completing her detox, she had been using opiates for several years; originally starting when her employer at the time prescribed hydrocodone for tooth pain. As we hear frequently from our detox clients, her use went from being somewhat sporadic to more frequent, until one day she realized her low energy, sweats, irritability and upset stomach had everything to do with the fact she was out of the drug. She called me over the long holiday weekend. Although her naltrexone implant was only a week old, she said she was still having cravings when confronted by her ‘major trigger’. Her ‘major trigger’, it turns out, is being with her children and the chaos that is part of the package in normal, every-day, family life. She wondered, “Isn’t there another kind of pill, or maybe a stronger version of naltrexone?” It’s a great question, but the answer is pretty simply no. The authors describe the progress of one of their clients who had stopped using heroin a few months earlier. After doing pretty well for a few months, she found herself in a funk, with negative thoughts and strong emotions taking up residence in her brain with gusto. She had been practicing diligently the lesson: “This Too, Shall Pass”. The assignment consists mainly in noticing her responses to uncomfortable thoughts and emotions, and choosing not to act on them. At first, this was difficult. Like most people, she was used to responding to every strong emotion or thought that entered her mind. But persistent awareness allowed her to know with startling clarity—she was NOT compelled to react. I think that is one of the greatest values for a person in early recovery is going to 90 meetings in 90 days, or to some kind of intensive therapy. 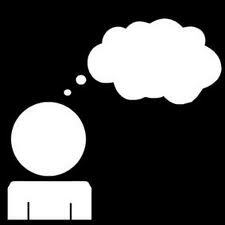 The message is reinforced over and over again: “you are a person who has thoughts; you are NOT your thoughts”. Jean had not started therapy of any kind, so it’s easy to understand that all the demons she’d been running from by using opiates had grown to immense proportions. After we talked, she intellectually understood what I was saying. Her ecstasy will come when she puts it into practice!